After a six hour flight from Chicago, we landed in Dublin. It was 2AM Central Time, but 8AM Dublin time. There was no time to sleep; we simply had too much to see and do in Ireland. It was a wet and rainy morning in Dublin, but fortunately for us, there was not much traffic so we could practice driving on the “wrong” side of the street with ease. 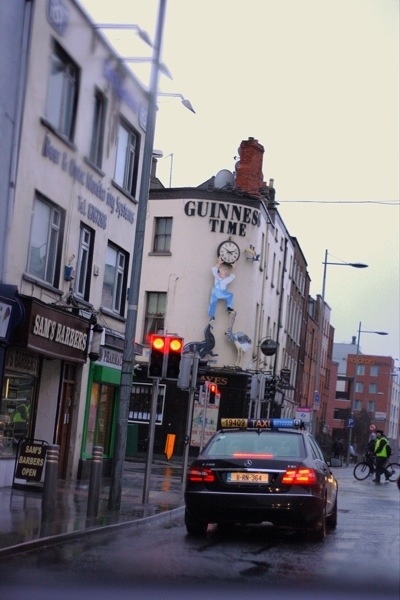 And in Dublin and Ireland, it’s always Guinness Time! But we weren’t heading for a Guinness just yet. 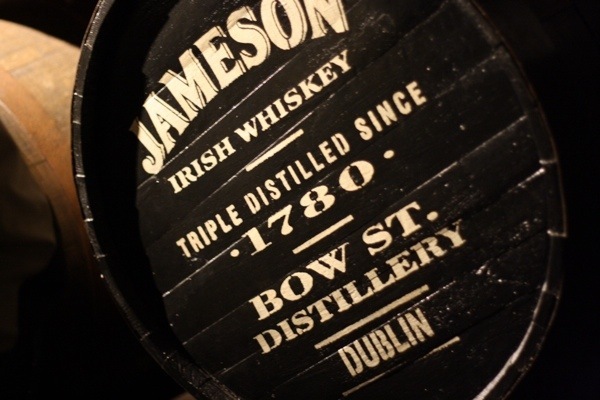 Though both exhausted, the first stop on our agenda was The Old Jameson Distillery on Bow Street in the heart of Dublin. A little bit of Irish whiskey to wake us up sounded like a treat. 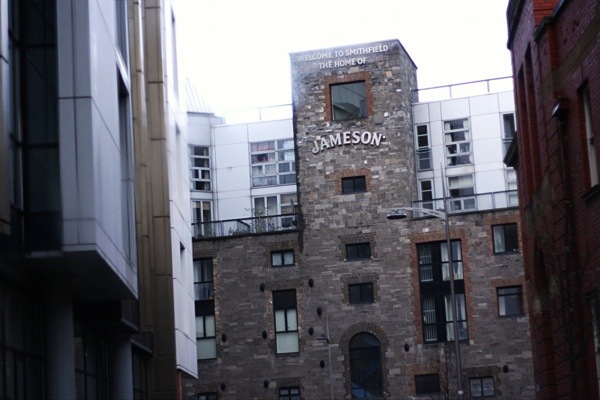 We had a few minor mishaps trying to find the Old Jameson Distillery. The entrance is on a small alleyway, where there is no parking available. So we ended up driving around the block several times. 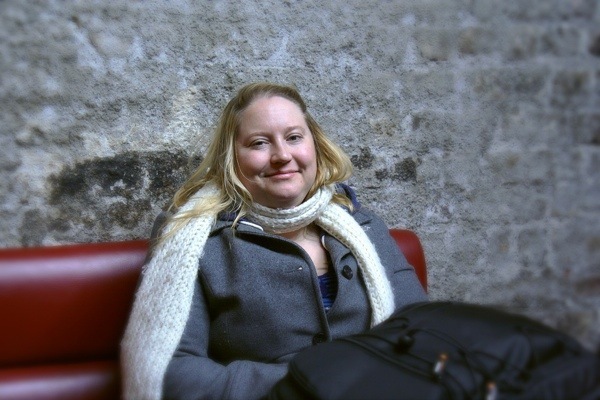 Our traffic mistakes – First, Nicole, my friend and loyal driver, accidentally went down a one-way street the wrong way. Luckily, there was only one car coming towards us, honking and flashing his lights to let us know we were in the wrong! And secondly, we drove down some trolley tracks – not an actual street. It was quite an adventure and we had a good laugh aferwards. We finally found a parking lot a block away from the Jameson Distillery. It was only a ten minute walk to the entrance, but through the light drizzle and blowing wind, it was a miserably cold walk. 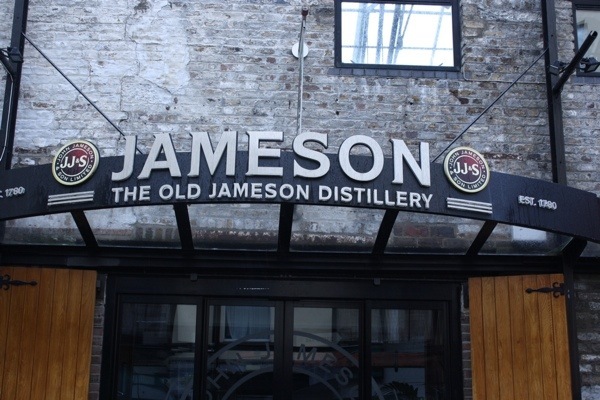 The entrance to Old Jameson Distillery in Dublin is located within a small courtyard. 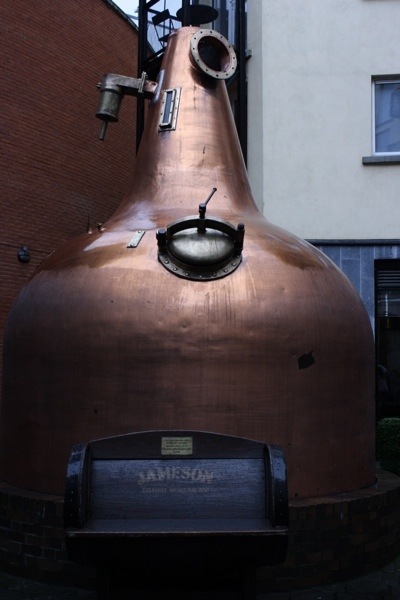 A very tall and huge copper whiskey still stands guard in the courtyard. It is massive and very impressive. 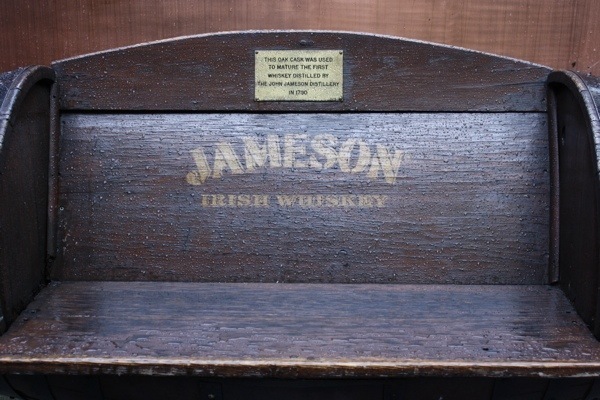 And if you wanted to sit in the courtyard (on a day that isn’t raining), there’s a bench with Jameson’s logo in front of the whiskey still. 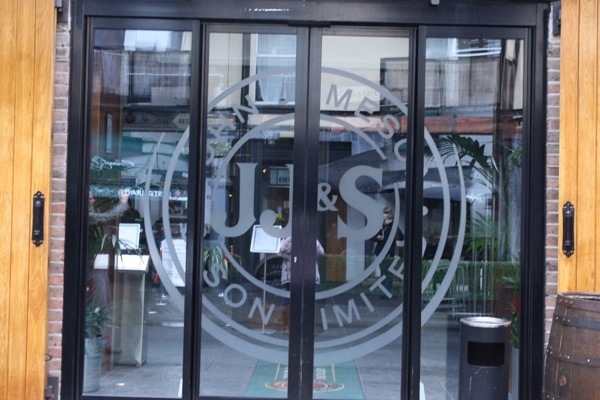 We entered through the very posh automatic doors to see what awaited us inside the Old Dublin Jameson Distillery. The cost for a guided tour is $14 Euros, but we had a 20% off coupon, so it was under $20 Euros for both of us. 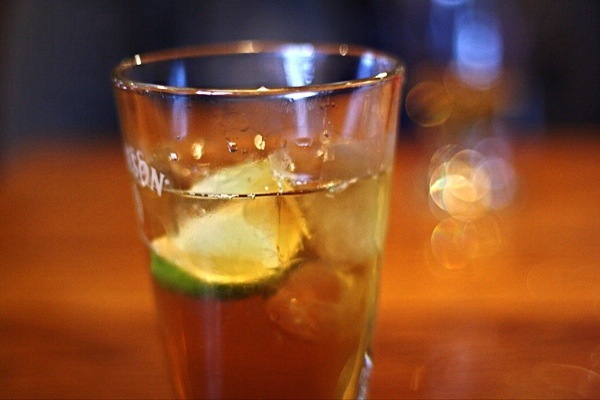 The tour includes a signature Jameson drink at the end – either Jameson whiskey straight up, or diluted in the most delicious ginger ale and lime mixed drink. Tours take place every 20 to 30 minutes, so we had to wait about 20 minutes before our tour started. We sat by the bar and enjoyed the lovely glass bottle decorations everywhere. 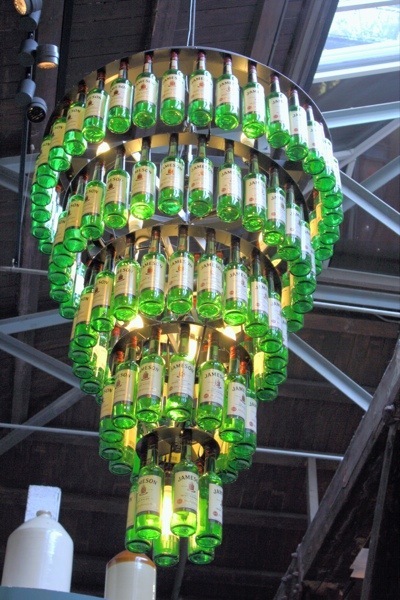 The bottle “chandelier” that hung above our heads was a delight to gaze upon. 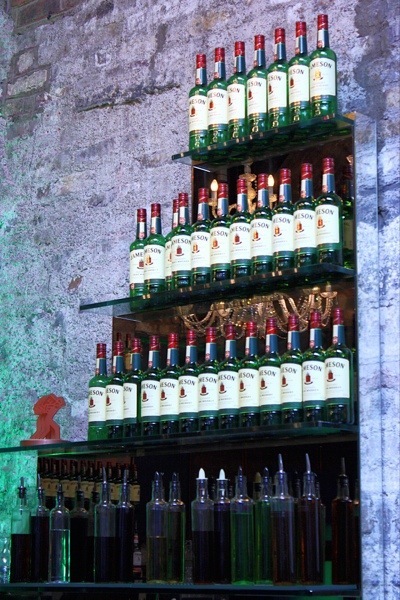 And of course, there were bottles stacked up near the bar, too. Nicole and I both rested our eyes while we waited for the tour to begin. I was plum exhausted from lack of sleep on the train and plane, but Nicole was holding it together. See how pretty she looks with only four hours of sleep? 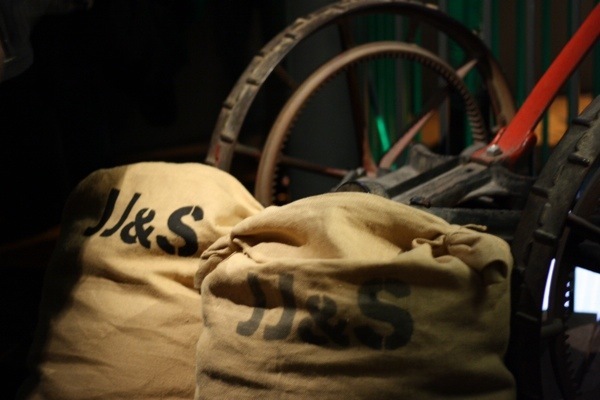 The Old Jameson Distillery in Dublin is no longer a working distillery, but a museum, but in the very early days of Jameson Whiskey, it was the primary location. We watched a film that introduced us to Mr. Jameson and his son. 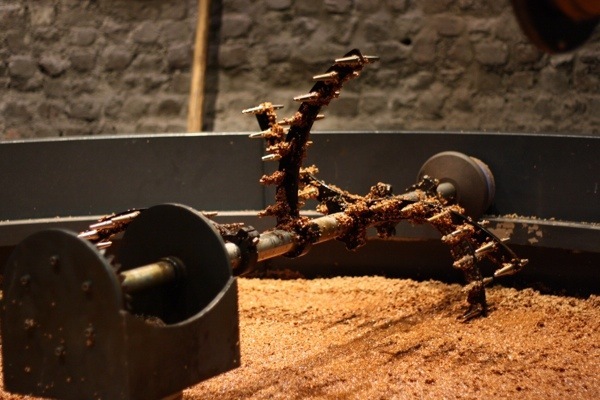 We learned about how Jameson Whiskey is made – from barley the farmers sold Mr. Jameson all through the distillation process and how Jameson whiskey is aged. It was quite fascinating, though I couldn’t tell you exactly how it was made. 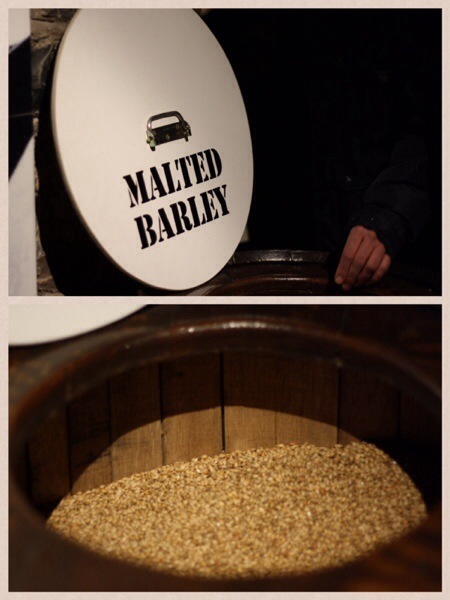 It was also enlightening to see the processing and grinding of the barley. They had smaller scale equipment to show us how it all worked. 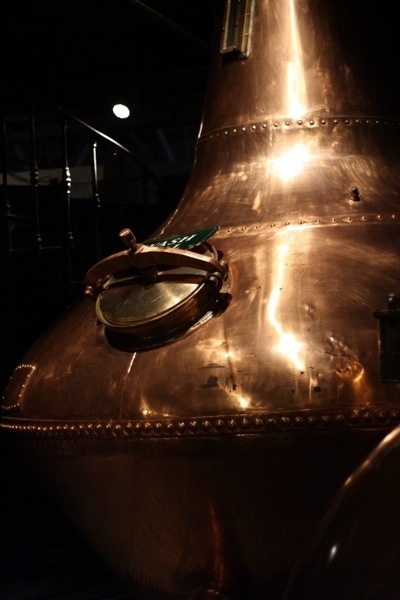 We also learned about yeast being added to the wash back (the barrel-looking thing) and distilled in the giant copper stills. Interestingly, the alcohol content is too high after all these steps, so they have to dilute it before we can actually drink it. The alcohol from the copper burns going down, according to our tour guide, so it wouldn’t be drinkable to most people. 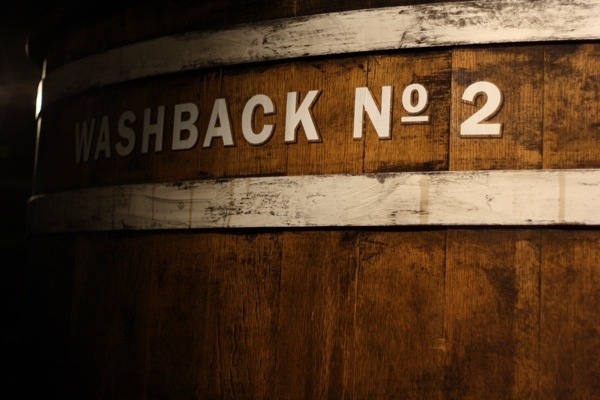 The whisky is placed into barrels for it to be aged for at least three years. The older the whiskey is aged, the better it tastes. The result is a smooth taste and Jameson is definitely smooth. After the tour, everyone gets to drink some whiskey! We sat next to a window with antique whiskey jugs, and of course, I had to take a photo of it! 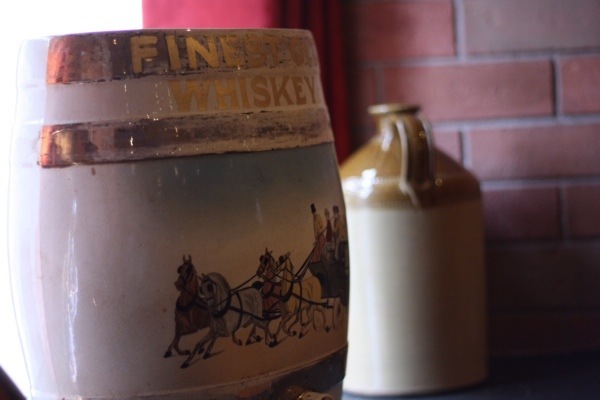 Everyone on the tour was given two options for Jameson’s – plain whiskey in a glass, or Jameson whiskey diluted with ginger ale and lime. 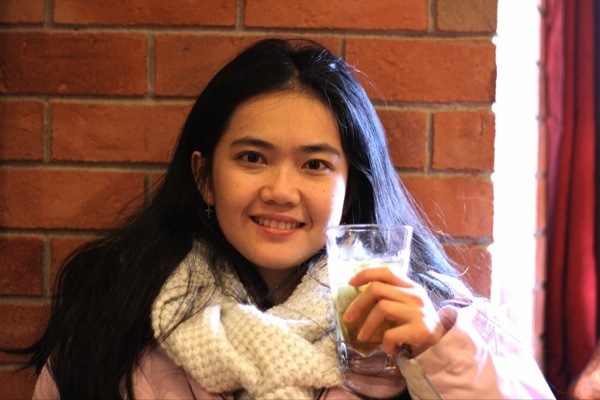 I choose the ginger ale whiskey, which was delicious and very refreshing. I will have to make this drink when I get home. The whiskey as subtle, and all the flavors blended well together. 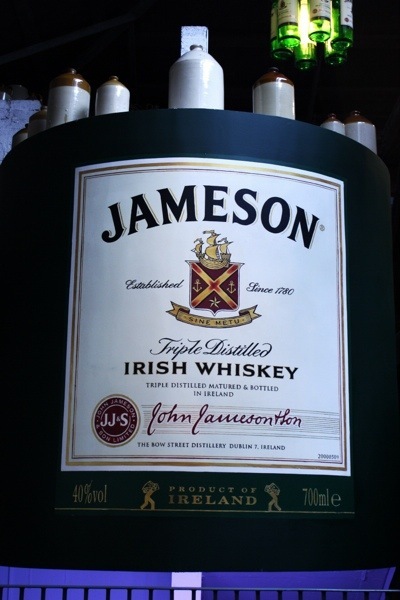 I’ve ever been a fan of Whiskey, but I’ve never actually tried Jameson whiskey before. But I am a Jameson fan now! I never knew whiskey could taste so yummy. 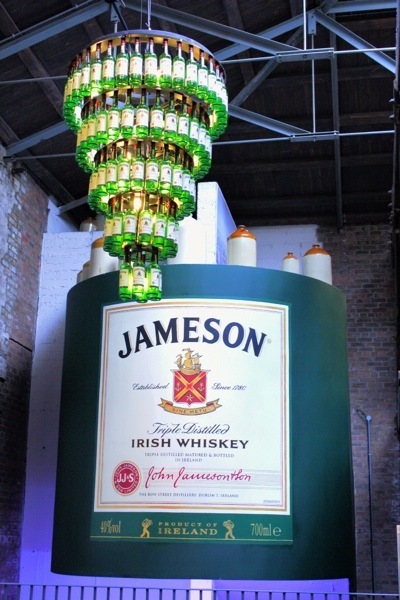 For anyone contemplating going on the Jameson tour, I think it’s expensive (as far as tours go), but it’s an interesting one. P.S. Don’t let your meter expire in Dublin. Just as we were walking out, the meter maid had just left the lot. So they do check and frequently, too! (We were only in the Jamson building for a little over an hour and a half!